Yesterday we braced the cold and headed out to the Bass Pro Shop and an outdoor mall. Not for Christmas shopping (because we like to wait until the last minute for stuff like that). The Bass Pro Shop is a hunters/campers/fisherman heaven. We like to shop for my Dad there being that he likes to camp/fish/hunt. They had a whole kids winter wonderland set up where The Phi was able to race slot cars, laser shot deer and use a Nerf machine guns to shoot squirrel targets. Ahh Tata is so proud! She can't golf but the kid is a good shot. We noticed a sign that Santa was going to be there soon and they had a free picture. Sweet. So after looking around (Did you know that Tommy Bahama shirts go for over $100!) we got in a very long line to see the man himself. While in line The Phi psyched her self up. 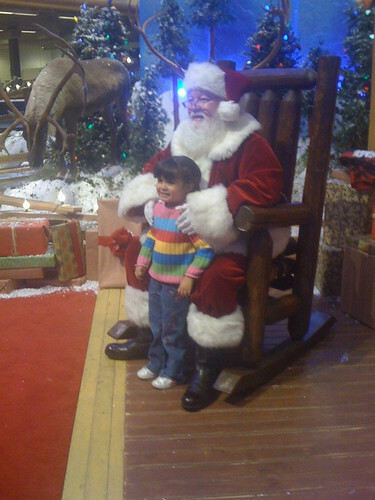 She kept repeating she was not scared and what she was going to tell Santa. 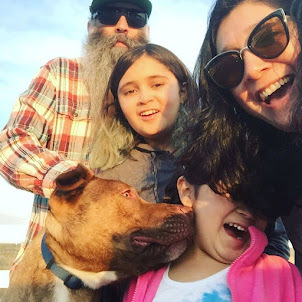 Even practiced her smiling for the photo. She did great and when Santa asked her what she wanted for Christmas she said "Leapster 2 and The Princess and the Frog game". So I guess the Leapster/Nintendo debate is over. 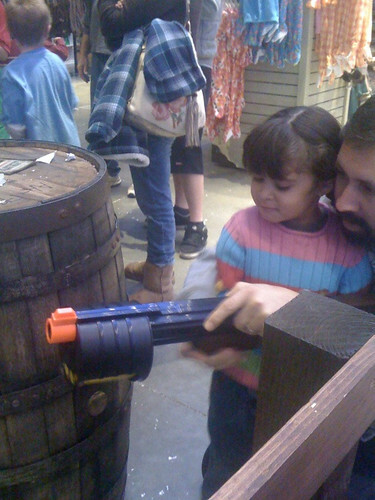 Then we headed over to the mall where we had some fun at Urban Outfitters. 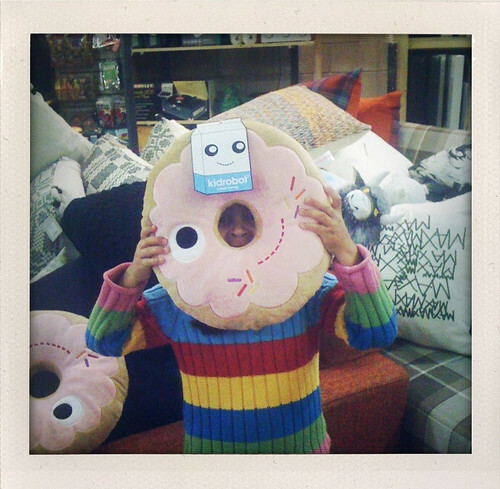 The Phi found a Heidi Kenney donut pillow. These are too adorable! 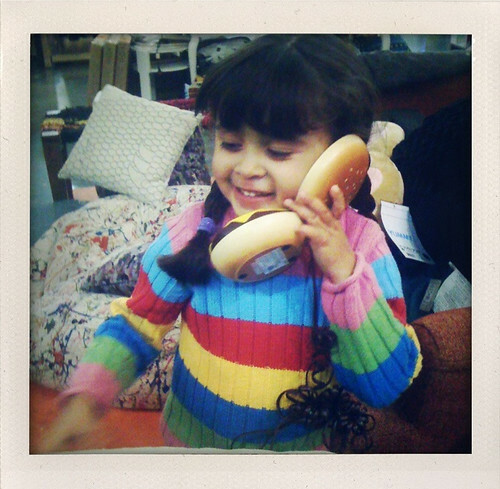 "Hold On a second I'm on my hamburger phone"
Next week we hope to get actual Christmas shopping done. is that quote from a movie? Juno?